Complete list of General Merchandise Shops in Pakistan. You can find the updated list of General Merchandise Shops in Karachi, Lahore, Islamabad, Rawalpindi, Multan, Peshawar, Quetta, Faisalabad and other regions of Pakistan with their address, maps, locations, vendors and consumer reviews. You can also compare the General Merchandise Shops here and find the best General Merchandise Shops here. You can also find the jobs related to General Merchandise Shops here. They are rice growers,millers,processors and best quality rice exporter from Pakistan. They Deals in all type of best quality Pakistani basmati and non basmati rice. Baba Farid Sugar Mills Ltd.
Agra Commodities is the company working in the city Karachi and they are the well known rice miller and exporter of Pakistan. Rizshopping.pk is the leading store for online shopping in Pakistan. Buy Laptops, Tablets, Mobiles, Cameras, Gaming Gear, Printers, Speakers, Headphones and many Other items. 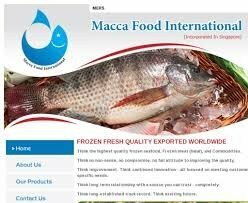 Cordial Trading Corporation is the company in Karachi and they are engage in the manufacturing and Exporting of Fish meal and Fisheries Products from Pakistan. Online Shopping in Pakistan with StoreMass from the earth's biggest Online Store, Buy Amazon Products in Pakistan with Cash on Delivery Services.